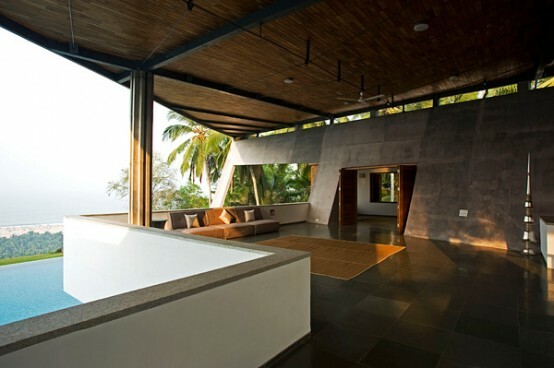 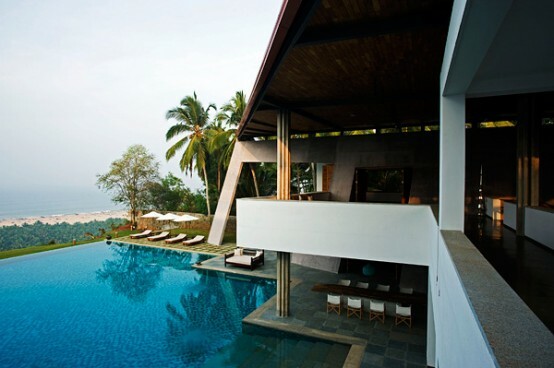 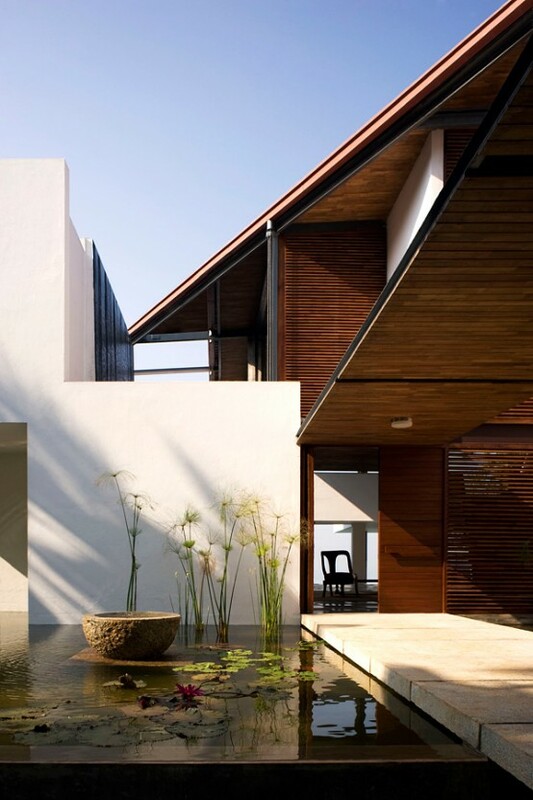 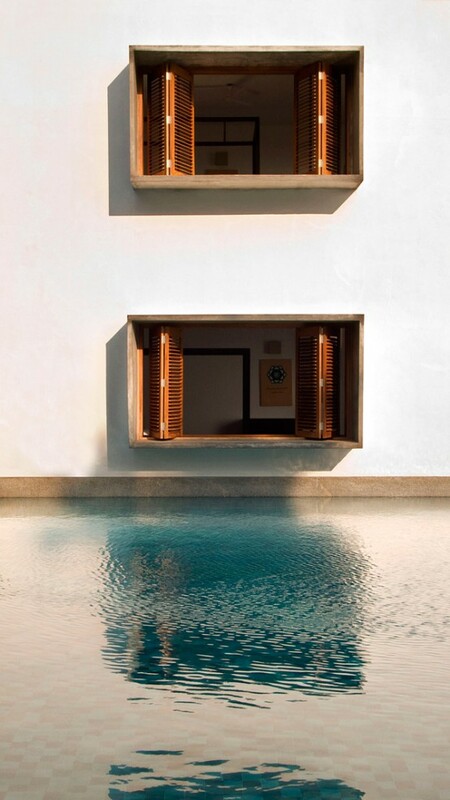 Cliff House, designed by Khosla Associates, is located in Kerala, India. 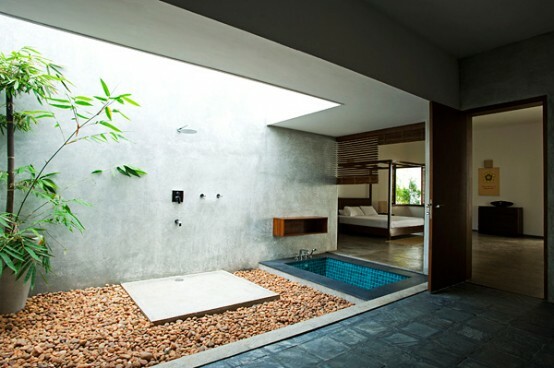 It’s truly a dream holiday house with quite unusual design that many people will fall in love with. 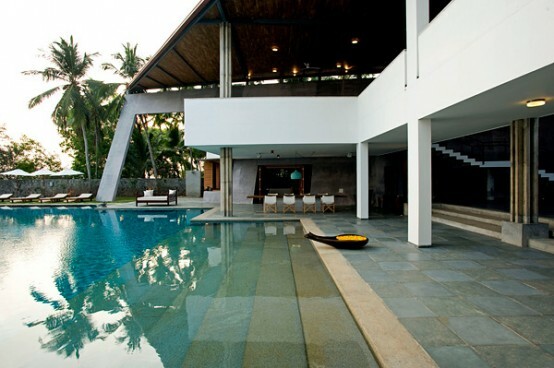 It features an asymmetrical angled roof and made of mix of concrete, polished cement, timber, and natural kota stone. 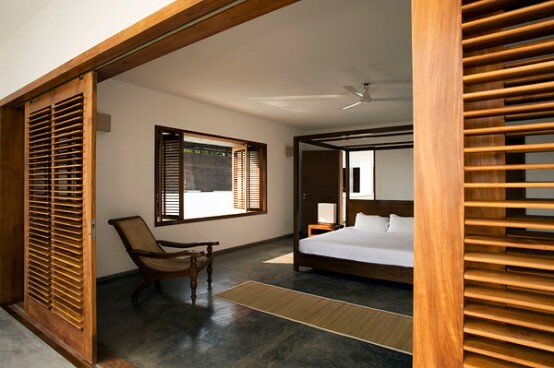 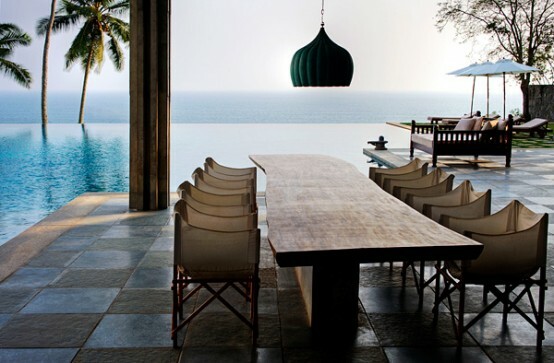 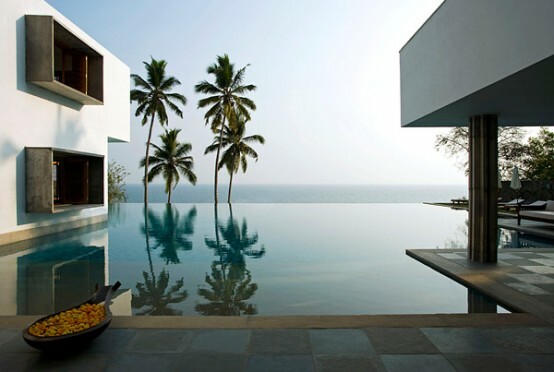 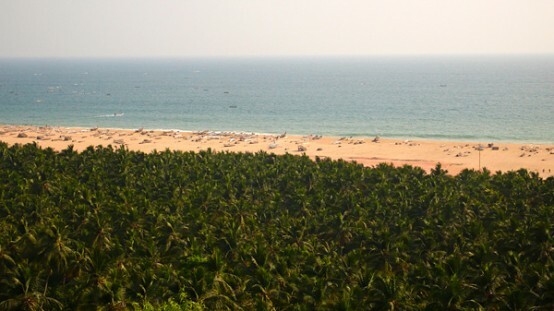 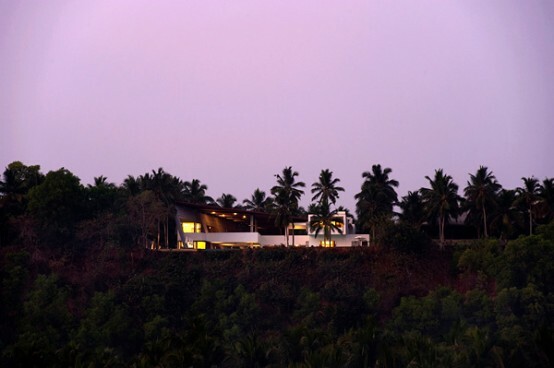 The house features amazing views of the Arabian Sea coast and coconut plantation. 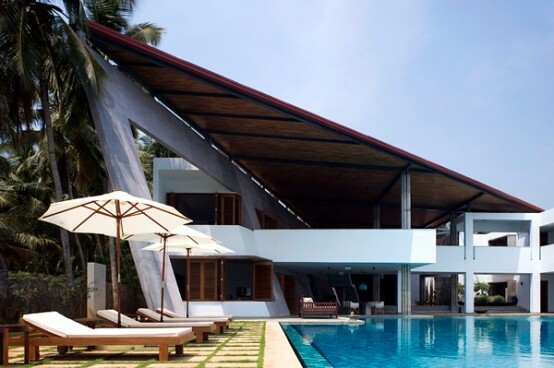 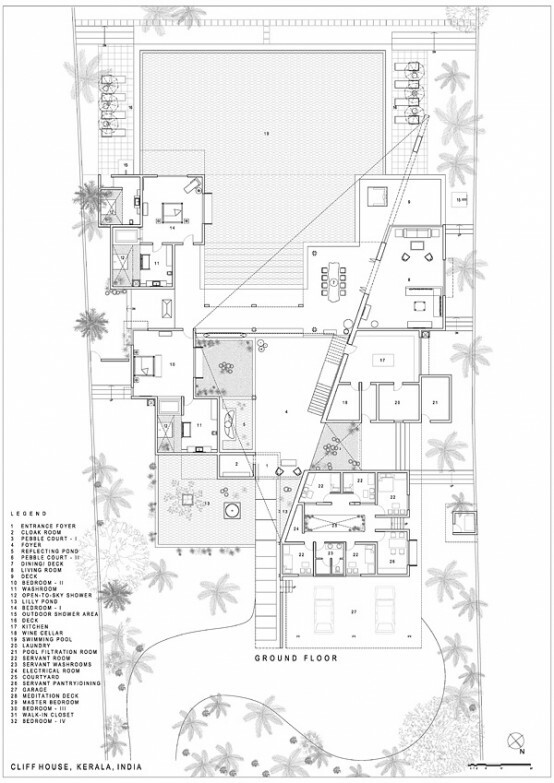 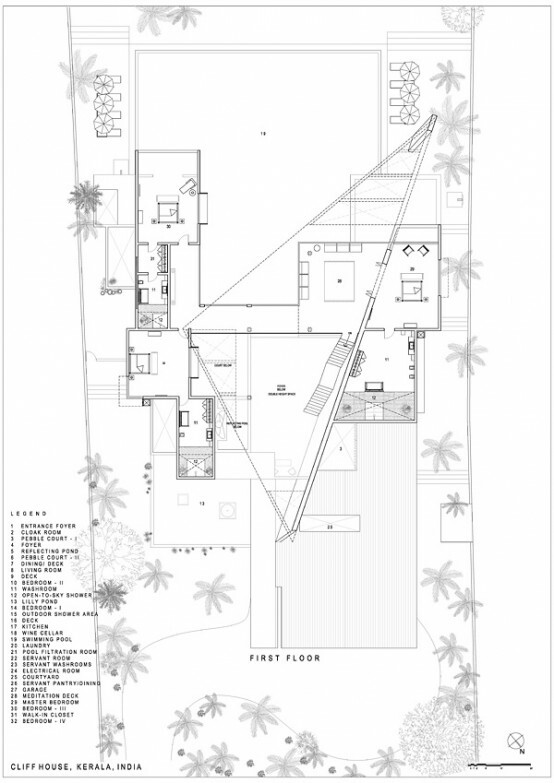 The home covers an area of 1397 sqm and features everything needed to comfortable holidays with family and friends. 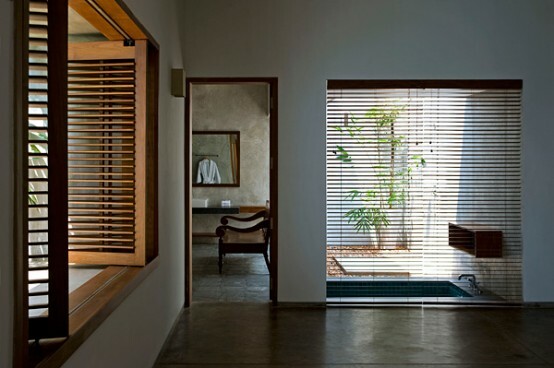 The interiors are cozy and clean thanks to the fact that furniture and accessories are kept to a minimal. 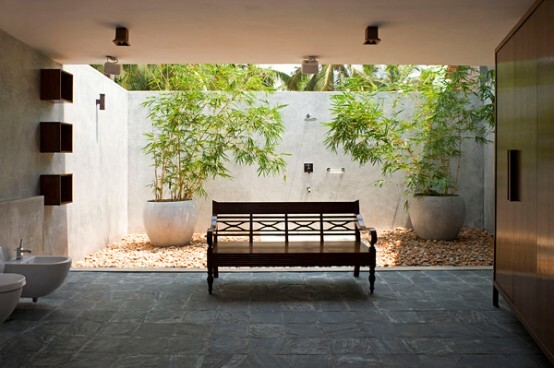 They are also very well connected with outdoor areas.